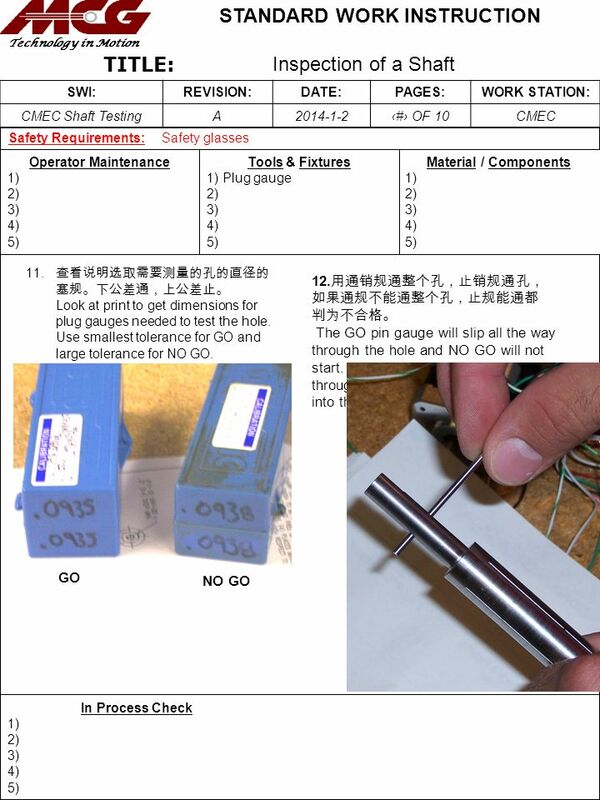 Title: Name 轴的检验 On this page is information about operators that are trained and certified to perform this Standard Work. The operators signing below. 2 Push reset button to set reading to 0.000. 5 9. 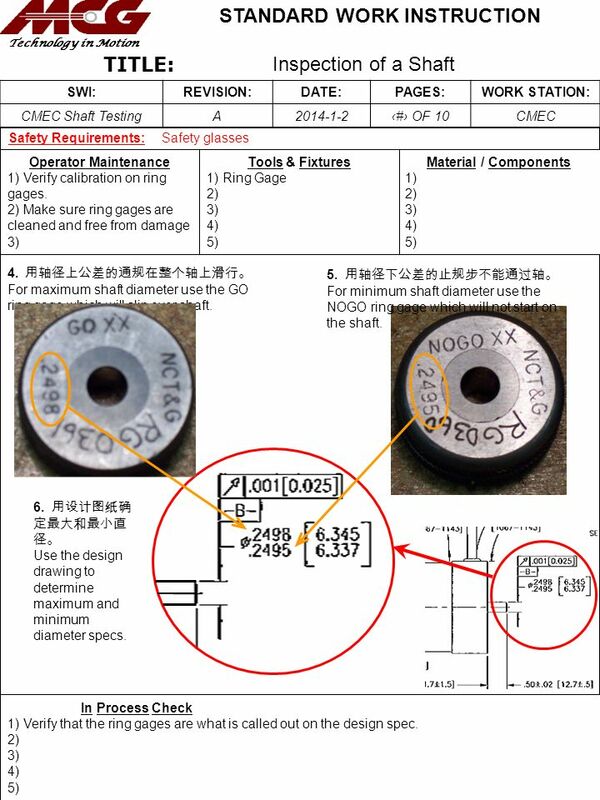 将千分尺置于水平测量Place the stationary anvil on the flat and measure. 7 GO is the green end with threads. 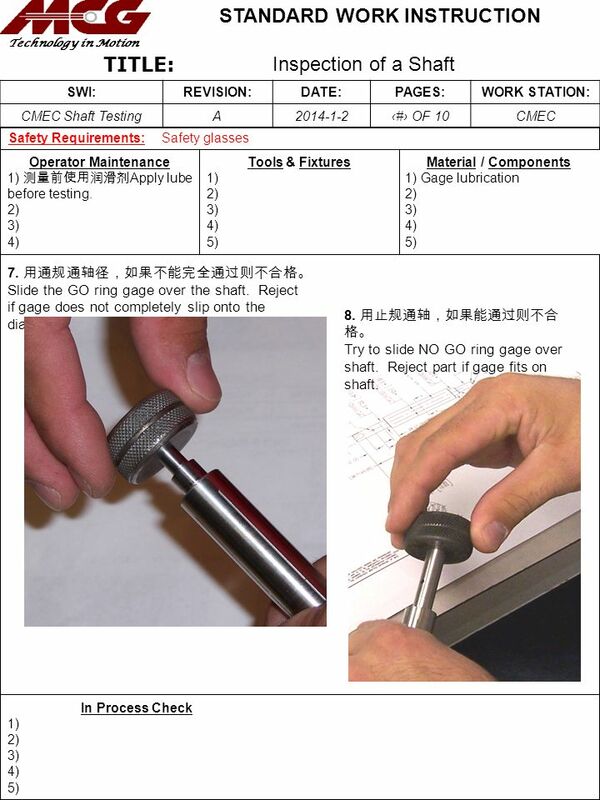 Download ppt "Title: Name 轴的检验 On this page is information about operators that are trained and certified to perform this Standard Work. The operators signing below." 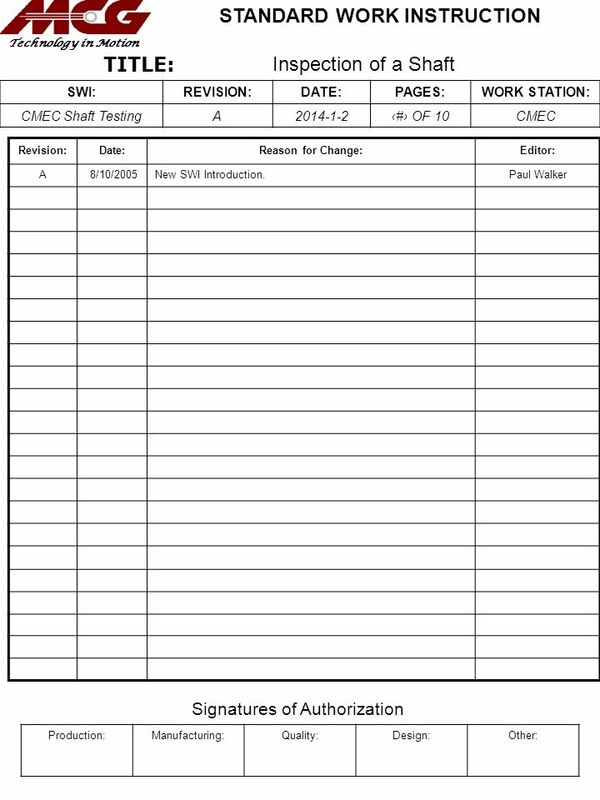 TITLE: Resistance and Inductance Testing SWI:REVISION:DATE:PAGES:WORK STATION: Resistance-InductanceA1/1/2014# OF Technology in Motion STANDARD. 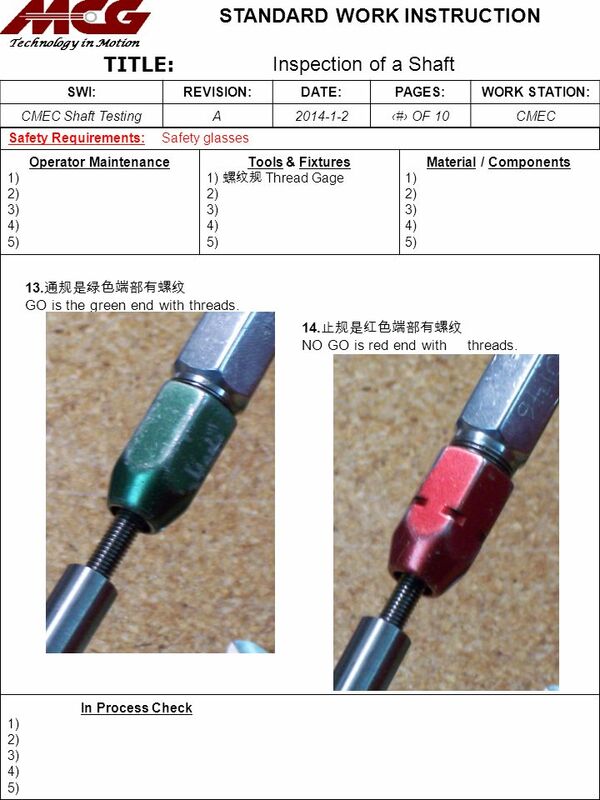 TITLE: Pilot Diameter and Depth Measuring SWI:REVISION:DATE:PAGES:WORK STATION: MI Shop-Pilot Dia./DepthB # OF 6Shop Technology in Motion STANDARD. Title: Name On this page is information about operators that are trained and certified to perform this Standard Work. The operators signing below have. 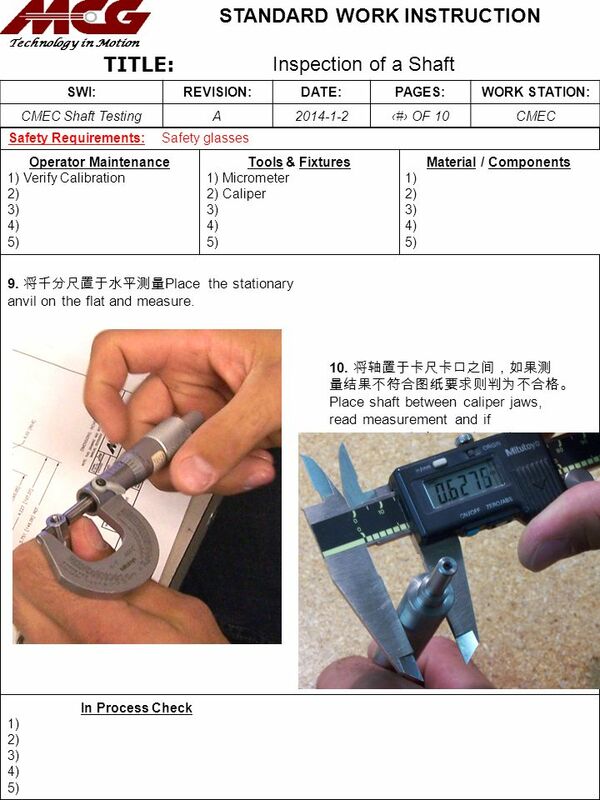 TITLE: Pilot Diameter Measuring SWI:REVISION:DATE:PAGES:WORK STATION: MI Shop-Pilot Dia.A # OF 4Shop Technology in Motion STANDARD WORK INSTRUCTION. 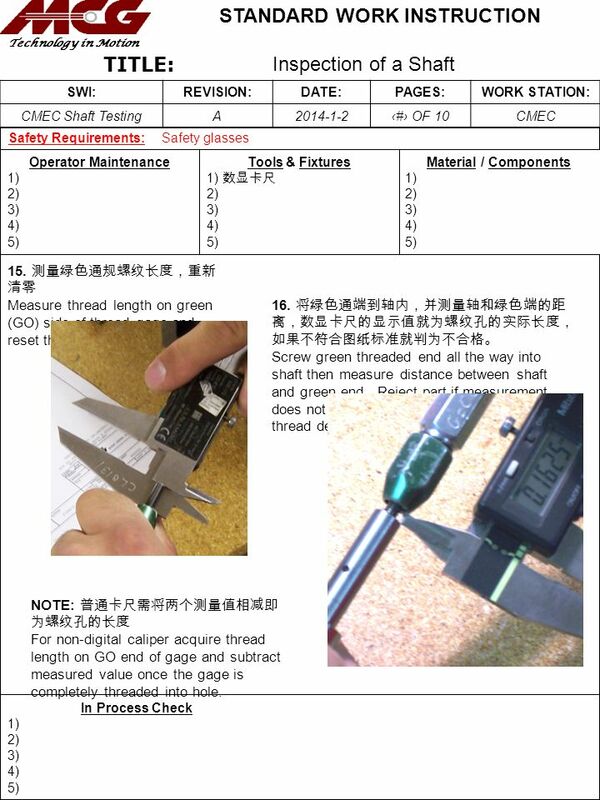 Title: Name 最终装配垂直度检验 On this page is information about operators that are trained and certified to perform this Standard Work. The operators signing. Presented by: Mike Sisson February 23, It is the Law The Americans with Disabilities Act of It is the Right Thing to do Provide Equal Access.